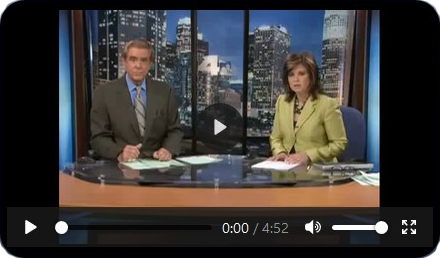 Watch KNBC's Joel Grover Investigation video to learn more about the dangers of using chemical anti-parasite products. How does Pet Protector work? To properly understand how Pet Protector works and what it means for you and your pet, let’s take a brief look at the other solutions that are widely available on the market. Today’s chemical and pharmaceutical industries sell various products which help pets and their owners in the battle against ticks and fleas – liquids and powders, spot-on treatments and collars. How efficient these products are varies greatly but the one thing they have in common is that all of these products eliminate parasites in the same way – with the help of different chemical substances – toxic insecticides. As a result, an absurd situation arises, one with tragic consequences: by solving one issue, we create another, much greater problem. Poisonous and cancerous materials (such as pyrethroids), found in these products, have systematically toxic effects on the animal’s entire body, especially on the blood cells, liver and nervous system. They are not only harmful to the health of the animal, but they are also harmful to people, children especially who often cuddle their pets, touching fur which is covered in these insecticides and then, without washing their hands, they touch their own eyes and mouth. The main problem is that pets are unable to speak up when they don’t feel well. We can only imagine the kind of terror and pain these poor animals must go through when they are repeatedly exposed to these insecticides, which penetrate through their skin, entering their bloodstream. Pet owners are unable to see that their animal is suffering in the very beginning, however, by the time the problem becomes obvious, it is usually too late. The Pet Protector Disc is not a chemical product, its effectiveness at repelling ticks, fleas and mosquitoes is based on something entirely different. This is what makes it so unique. The Pet Protector Disc is made of high quality steel alloys. It is charged with a specific combination of Magnetic and Scalar waves, which after being triggered by the animal’s movement (blood circulation), produce an invisible energy field around the entire animal’s body. Pet Protector’s Scalar waves are totally harmless to people and animals (they go absolutely undetected by humans and animals alike) and they are only effective against external parasites, repelling them from the shielded area. Therefore, the Pet Protector Disc acts preventatively; it drives fleas, ticks and mosquitoes away before they get the chance to infest your pet, versus all other anti-parasite products, which kill external parasites after they have already infested your pet. 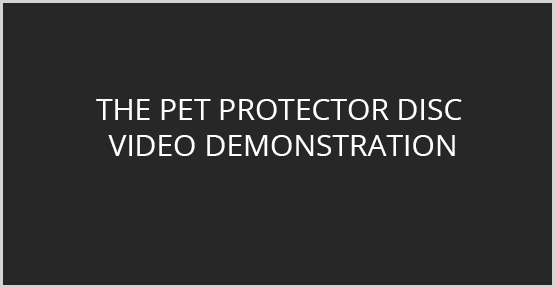 Watch a Pet Protector video demonstrating the PP Disc’s range of Magnetic Waves using a smart phone app. You can measure the Disc’s Magnetic Waves yourself using any phone app such as Metal Detector, etc.